Involvement in food digestion (conversion of hemoglobin into bilirubin to aid digestion). 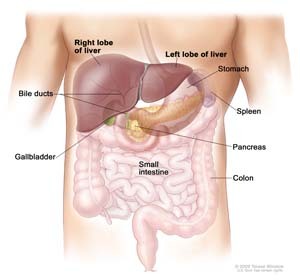 Damage to liver cells may result in liver inflammation, hepatitis, fibrosis, cirrhosis or cancer. viral infection, where the most prevalent are hepatitis B and C (AST/ALT ratio less than 1). alcoholic damage (AST/ALT ratio more than 2). chemical damage including ingestion or inhalation of toxic substances. Since our liver lacks nerves, damage at the initial stage may go unrecognized. To date, viral hepatitis remains incurable and can only be controlled by western medicines such as silymarin (extract of the milk thistle seeds), the one most commonly used. Providing protection for the liver, rather than waiting to treat liver disorders when they arise, may be the best way forward since it is almost impossible to avoid contact with the toxic substances that may affect the liver. Once liver cells are damaged, they will release GPT (ALT) and GOT (AST) enzymes - the greater the damage, the higher the values of these liver function indices. GPT is a more representative index on account of its liver specificity. GOT also exists in the heart, kidneys, skeletal muscle and brain. The test results show that rats receiving ganoderma products (extracted from YK-01 strain) showed significant decreases in GPT and GOT values after 3 weeks. This shows that ganoderma was able to reduce hepatic injury induced by CCl4. The efficacy is dose-dependent. i.e. the more ganoderma was taken (from 0.5g/Kg to 3.0g/Kg), the more the inflammation was alleviated and liver function indices lowered. 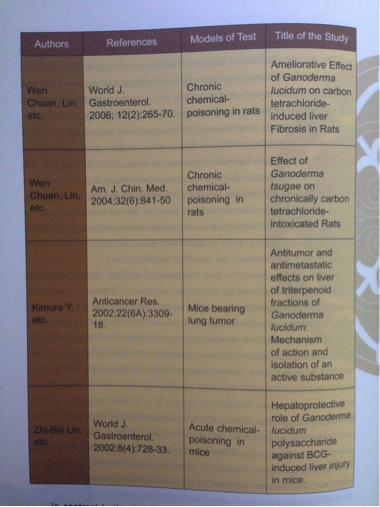 Thus, in animal testing model for lowering serum GPT and GOT values, ganoderma extract has the effect of alleviating injuries related to the liver. When the liver is injured, it will activate the function of liver cell regeneration. 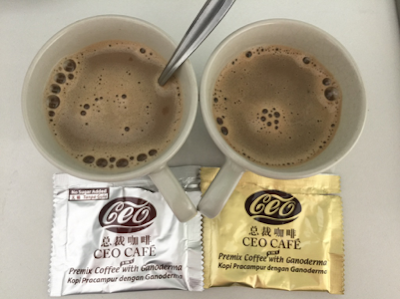 The experiment found that mice taking CCl4 together with ganoderma were found to have high levels of protein in their livers. This tendency is also dose-dependent - higher dosage (0.5g/Kg to 3.0g/Kg) of ganoderma led to greater levels of liver protein. Ganoderma is not a high-protein food, but interestingly, the results demonstrated that it helped to increase the quantity of protein in the liver. The liver cells also show greater powers of regeneration. In other words, ganoderma can increase the quantity of protein in the liver, and enhance liver cell reproduction. This study was published in the The American Journal of Chinese Medicine in 2004. Section B : Clear signs of fibrosis. 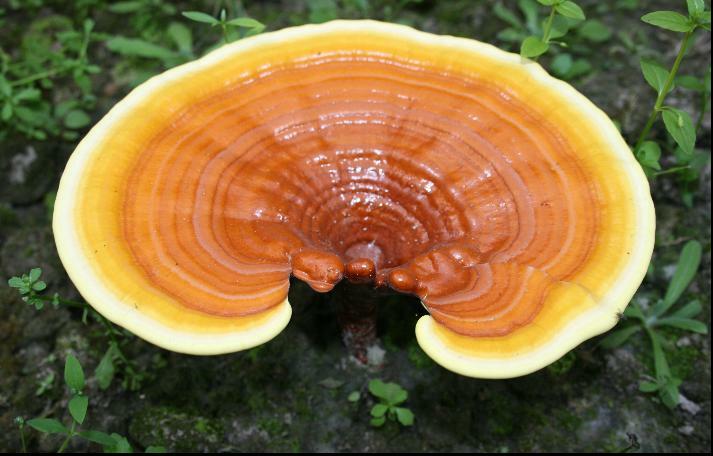 Section C : High-dosage ganoderma group showed no signs of fibrosis. 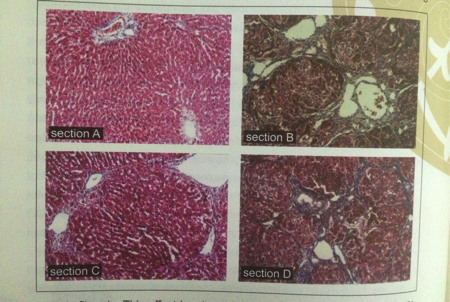 Section D : Silymarin group showed a lower level of hepatic fibrosis. The study also concluded that although silymarin is considered to be an effective treatment of hepatitis, it demonstrated a lesser effect on reducing fibrosis than that of ganoderma. Increasing the dose of silymarin might provide better results but with the increased possibility of more side effects. In another study in 2006, Bi-Fong Lin and Miao-Ling Chen from National Taiwan University fed ganoderma extracts from the fruiting body of the YK-01 strain to mice for 7 weeks. The results indicate that ganoderma has anti-oxidation ability, i.e. 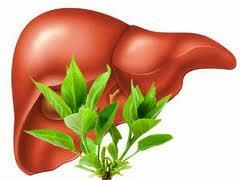 prevent our liver from oxidation. 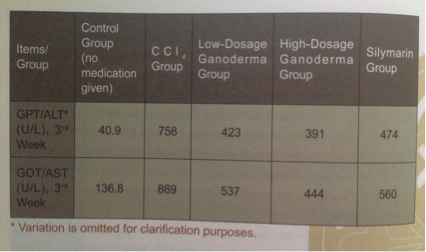 YK-01 ganoderma extract decreases liver indices values. The longer the extract is used, the more the hepatic GPT value dropped. It helps to protect the liver from harm by reducing injuries related to the liver. In the case of injury, ganoderma promotes liver cell reproduction. Please contact me at askfuiping@gmail.com to buy Yung Kien Ganoderma, which is manufactured using the Ganoderma YK-01 strain.